I think that Perl 6, as a fairly new language, needs good tooling not only to attract new programmers but also to make the job of Perl 6 programmers more enjoyable. If you’ve worked with an IDE before, you certainly agree that syntax checking is one of those things that we take for granted. Syntastic-perl6 is a plugin that adds Perl 6 syntax checking in Vim using Syntastic. Syntastic is the leading Vim plugin for syntax checking. It supports many programming languages. 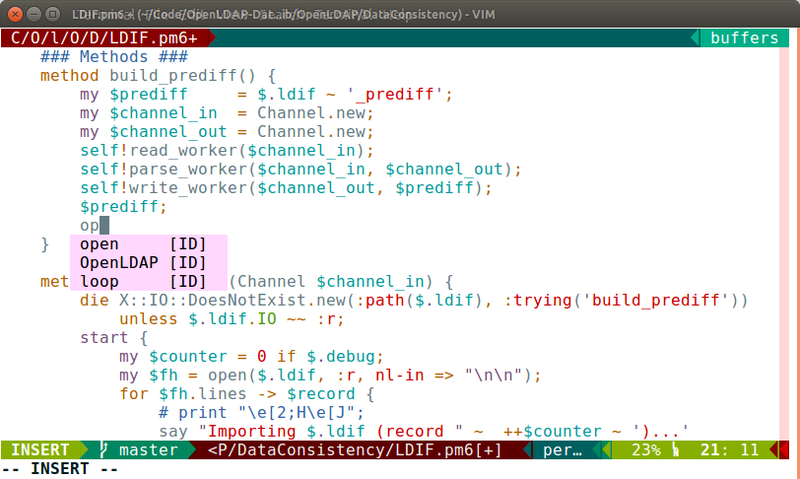 If the plugin proves to be useful, I plan on a parallel track for Perl 6 support in Vim. On one hand, this plugin will track the latest Perl 6 Rakudo releases (while staying as backwards compatible as possible) and be the first to receive new functionality. 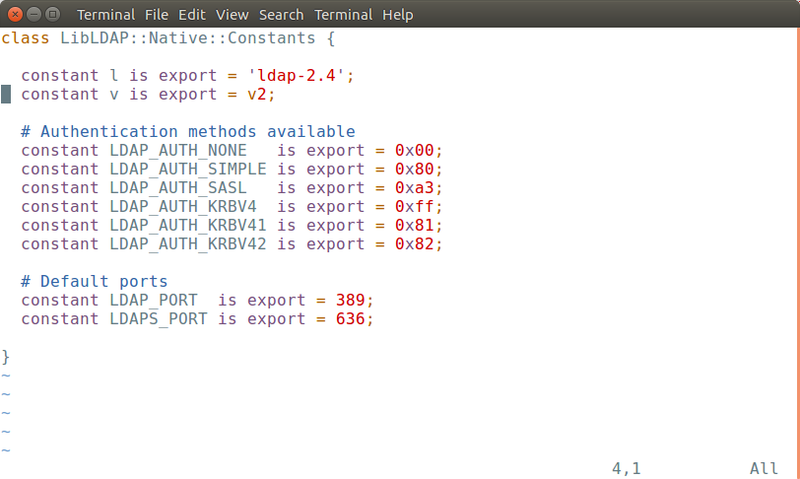 On the other hand, once this plugin is well-tested and feature complete, it will hopefully be added to the main syntastic repo (it has it’s own branch upstream already) in order to provide out-of-the-box support for Perl 6.
sending Pull Requests to make the code (vimscript) better where needed. sending Pull Requests to add tests for error cases not yet tested (see the t directory) or -more importantely- caught. posting issues for bugs or errors not-yet-caught. In that case copy-paste the error (e.g. 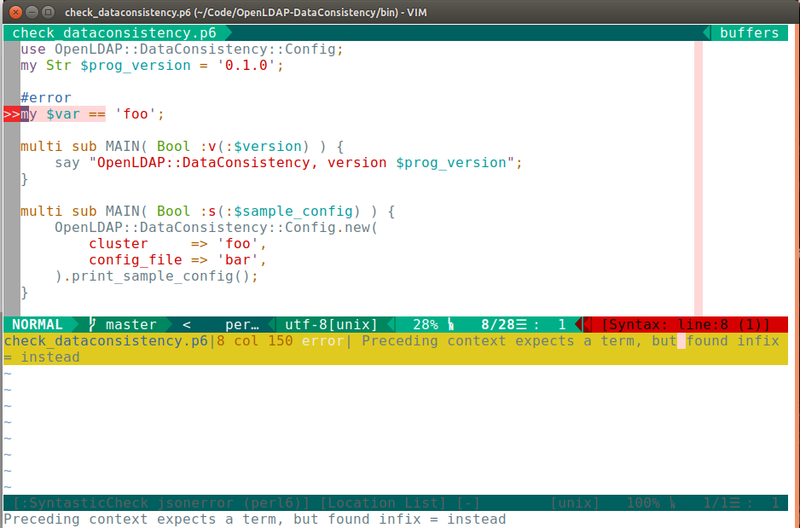 within vim: :!perl6 -c %) and post a sample of the erroneous Perl 6 code in question. The plugin, with installation instructions, is on its github repo at syntastic-perl6. With a vim module manage like pathogen you can directly use a clone of the repo.